Indie-pop darling Katie Bennett keeps fans spellbound with Free Cake For Every Creature's newest LP The Bluest Star. Just as its namesake would suggest, Bennett’s follow-up to 2016’s Talking Quietly of Anything with You is evocative, luminous, and unshakably searing. With the lo-fi warmth of "Riding into the Sunset in a Busted Car," her fourth LP’s opening track is a raw confession about being young and the desire to belong. Amplified by urgent chords and earnest vocals, The Bluest Star unfolds with a rare fearlessness, making each lyric feel like a testimony to the ups and downs of self-discovery and growing up. Lines like "not everyone's got a sleeve where they can wear their heart" and "use your pen to find the pieces in the dark" make "Riding into the Sunset in a Busted Car" more of a map than a story, giving listeners a refreshingly frank perspective on how to emotionally cope with the uncertainty of being alive. The steady swell and backbeat of "Around You" feels like a melodic successor to the frank poetics of Rilo Kiley's "Science vs. Romance" and the gritty sincerity of Colleen Green's earliest cuts. A testament to friendship and adolescent adventures, the album’s second offering is nostalgic in a rare and fervent way. Whether the relationship that inspired this song was platonic or romantic, its formative impact on Bennett is obvious from beginning to end. Deeply personal yet universal, “Around You” is an evocative homage to intimacy and the transformative journey of coming of age, while "Whole World Girl" is a self-reflective love song that focuses more on the aftermath of romance rather than its beginning, a narrative choice that makes an already evocative narrative even more arresting. Similarly, "Took a Walk" is a bare-bones yet atmospheric ballad about the past and self-definition, in the wake of a splintered relationship. Here, her lyricism is pragmatic, heart-wrenching, and undeniably relatable. From its inception, "Sideline Skyline" is unrushed and deliberate, which forces Bennett's audience to listen closer, to savor each second. When she professes, "I'm nobody's mother & I don't have to hold it all together," the track becomes an anthem of defiance and autonomy. "Sunday Afternoon" is succinct yet moving due to Bennett's apt use of subtle repetition and instrumentation, and "In Your Car" unfolds in a similar fashion, and steadily blooms into a brief yet cinematic song. 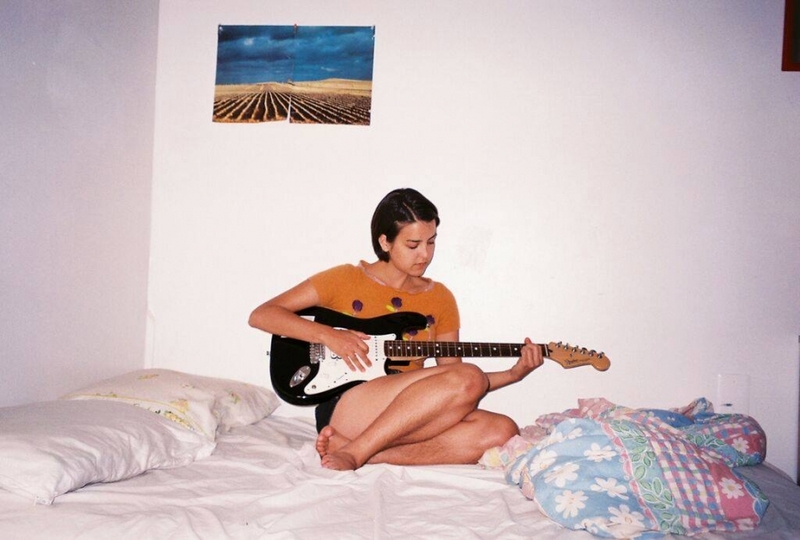 Equally vivid, the recording is a ready-made favorite for fans of Cat Power circa Moon Pix or Julien Baker’s Sprained Ankle. “In Your Car” is an immersive testament to how even the most ordinary moments can shape a person. "Tom or Mike or Pat or" and "Hometown Hero" both feel like pages torn from the diary of a teenage realist, while “Christina’s World” and “Goodbye, Unsilently” are tranquil folk melodies in their own rite. Each note amplifies each lyric, making both tracks equally gripping meditations on self-worth and identity – two themes that permeate throughout the album’s end. 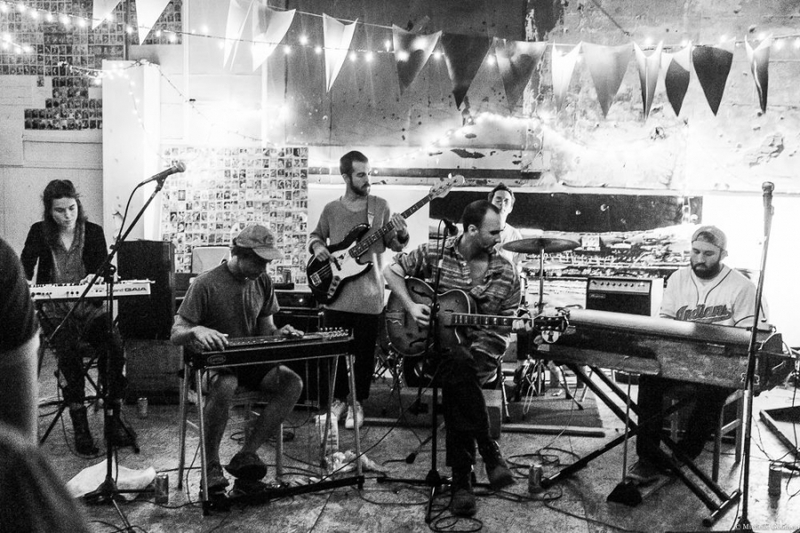 Free Cake For Every Creature's new LP The Bluest Star is out now via Double Double Whammy. 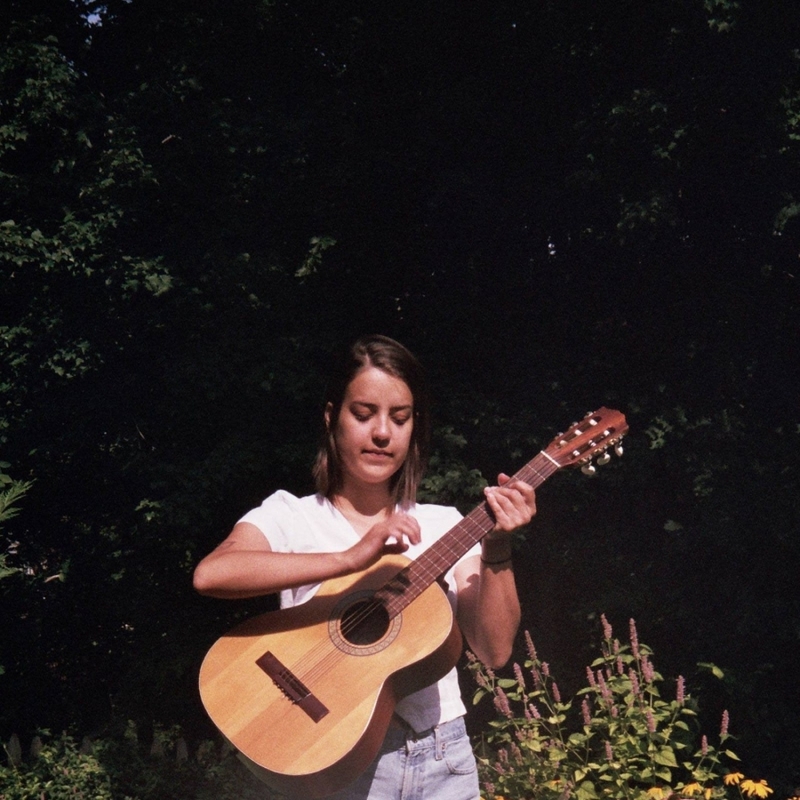 Singer-songwriter Katie Bennett returned to the comfort of her home, after her first proper studio release, Talking Quietly Of Anything With You, allowing the latest batch of songs and recordings to organically evolve. With touring bandmates Heeyoon Won and Francis Lyons, along with a array of local music pals, Bennett beautifully captures her thoughts and experiences, as she learns to work through the mundane, day-to-day hustle of adulthood, while still remaining self-motivated and inspired. You can take in all these feels at Free Cake For Every Creature's record release show tonight at Everybody Hits, with Brooklyn's Told Slant, Friendship, and Slow Ref. Katie Bennett, a.k.a. Free Cake For Every Creature, just shared “Around You,” the first single off her forthcoming LP The Bluest Star, due out August 3 via Double Double Whammy. The song opens at a jogging pace, showcasing exertion but with a relaxed backdrop. That heartwarming earnestness reflects on the joyous, fluttery feelings of an unforgettable crush/love. You can share in the feels with Bennett & friends at Everybody Hits on Friday, August 3, where they'll be supported by Told Slant and Slow Ref. Katie Bennett (Free Cake For Every Creature) and Lincoln Halloran (Hello Shark) welcomed the folks at Swell Tone into their apartment for a session. 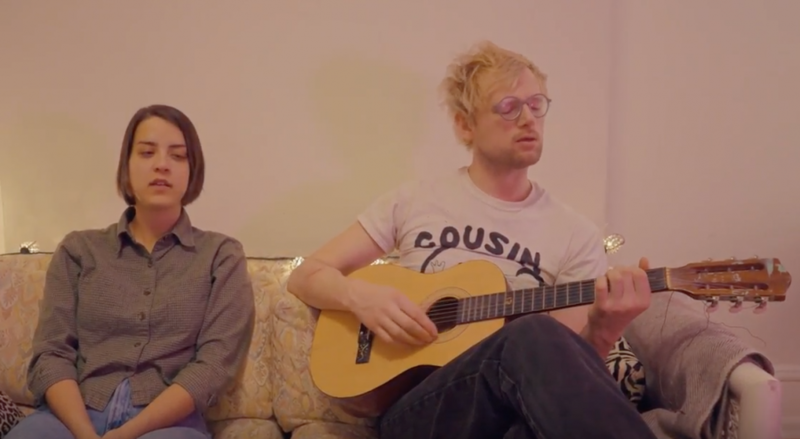 Covering Shania Twain’s “You’re Still The One,” the pair performs a bare, acoustic rendition on the couch. Honing in on harmony, the duo unlocks the song’s emotive qualities. You can catch Free Cake For Every Creature when they kick off their tour with Adult Mom on Wednesday, May 31 at Everybody Hits, as part of lineup that also includes Boosegumps and Emily Yacina.